Subscribe to our latest news and special offers contact list. Naas Racecourse continue their quest to achieve a Group One Race and Premier Status, with this in mind the track continue to make improvements for their racegoers and racing fraternity. 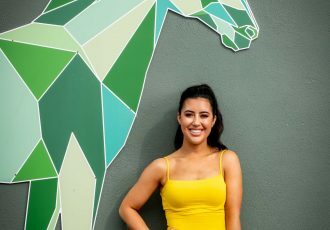 In recognition of the hard work and dedication of the Stable Staff, Naas Racecourse have agreed to subsidise their Grooms Canteen, which came into effect last Sunday on Royal Ascot Trial Day. Aside from subsidising the Grooms Canteen, Naas also have plans to extend and upgrade the interior of the Canteen. These developments will take place in the second phase of their overall €3.2 million redevelopment, which is due to take place in the coming months. The first phase of the Naas Racecourse redevelopments was completed in January, with the opening of the new feature building, The Circle. The Circle Bar located on the ground floor is open to all racegoers. The Goffs Owners & Trainer Lounge, located on the first floor is open to Owner and Trainers that have a runner on the day. The Lounge boasts stunning views of both the track and parade ring making it the ideal location for Owners & Trainers. Tom Ryan, General Manager of Naas Racecourse said: “We have heavily invested in our facilities and continue to enhance the experience at Naas Racecourse. Facilities for racegoers and Owners & Trainers have improved, now it’s time we reward the Stable Staff for their hard work and dedication. We acknowledge their contribution to the racing industry and will subsidise the Grooms Canteen by fifty percent. We also have plans to expand and upgrade the interior of the Canteen within the next phase of our redevelopment. The second phase will also see an interior upgrade to the grandstand, inclusion of a Members Area and Parade Ring enhancements. Bernard Caldwell, Chairman of the Irish Stable Staff Association said: “The Irish Stable Staff Association are thrilled to hear that Naas have put their best foot forward and will subsidise the Grooms Canteen by fifty percent. On behalf of the association I would like to extend a huge thank you to the management and Directors at Naas Racecourse.” For more information contact Sales & Marketing Manager Jackie Donohoe, [email protected] or call 0873527030. 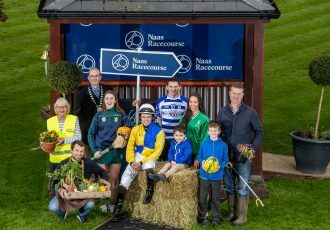 NAAS RACECOURSE LAUNCHES NEW INITIATIVE NAAS TOWN GOES RACING! Please add your email address below if you wish to subscribe to our latest news and special offers contact list.